Helene Magisson is a Children’s book illustrator, who graduated from the painting restoration school “Art et Avenir”, Paris (France). She was also trained in the art of medieval illumination, exhibiting her work in Europe and teaching the history and techniques of medieval miniature in primary and high schools, both in France and in India, where she lived for a few years. 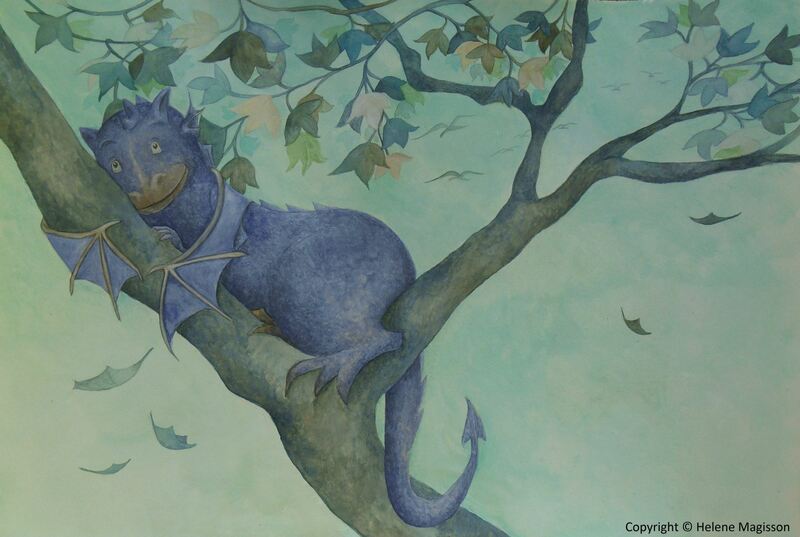 When Helene settled down in Australia, she decided to start a new career in children’s book illustration. Her numerous trips in Europe and Asia, as well as her childhood spent in Africa inspire and enrich her work. She believes that travelling is a fantastic source of inspiration. 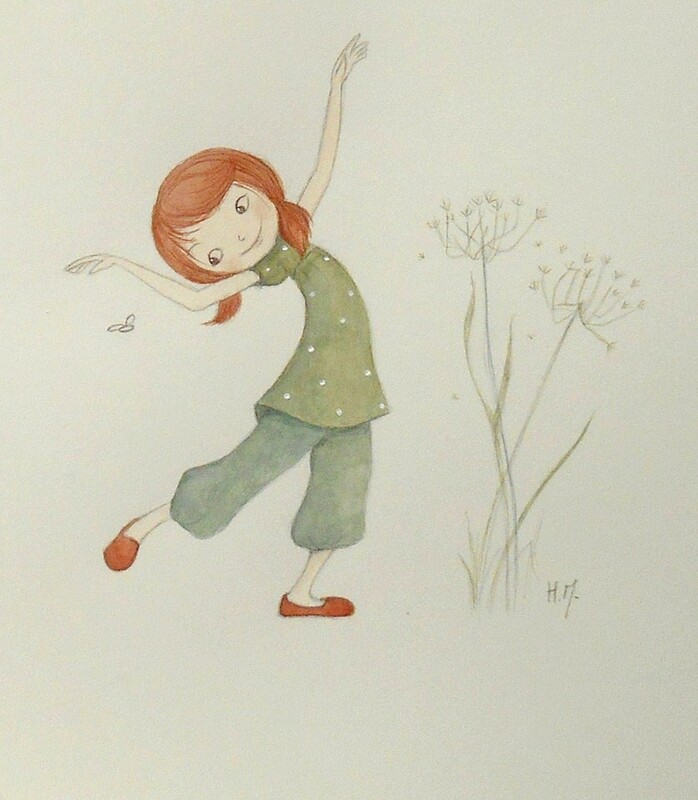 Helene was awarded the first prize in the illustration category at the 2013 CYA conference. 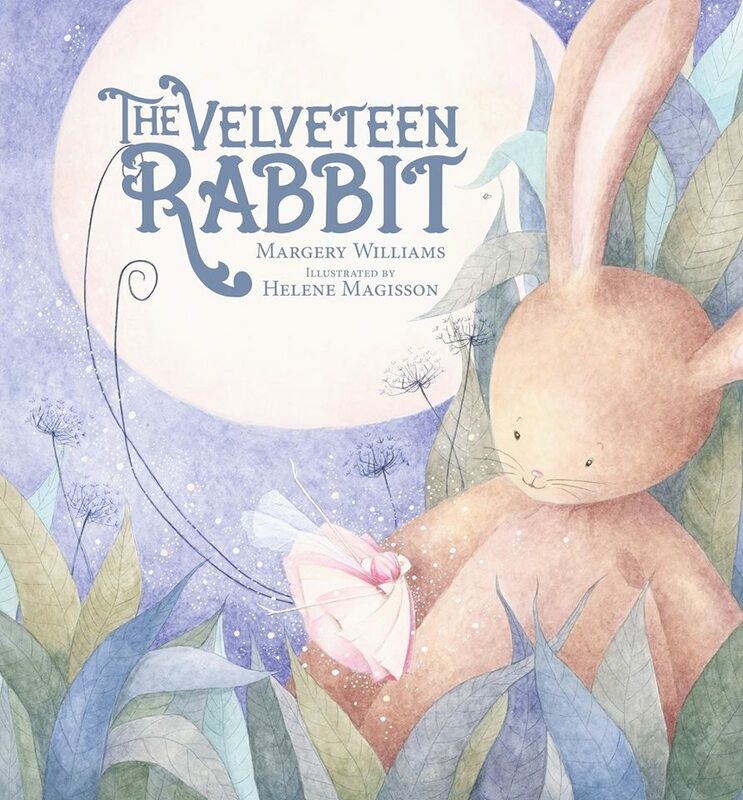 She has illustrated her first book, The Velveteen Rabbit by Margery Williams Bianco. How did you come to work on the Magic Fish Dreaming Project? One day, I got a message from June Perkins. A long message describing her project with precision. Her approach was clear, smart, graceful and engaging. She was talking about poetry, places of Far North Queensland, about multiculturalism, team work, and respect. It immediately resonated to me. So I wanted to know more about her, who she was, and I discovered an incredibly creative and talented woman. I felt that this project could take me into a new world like a door opening to a part of Australia which I was thrilled to discover, through June’s eyes and words. I had no doubt about the project, no hesitation. It was like something absolutely natural. Then she sent me her manuscript, and I had this wonderful feeling when each poem suddenly sparkled in my mind. My imagination was flying far away. The connection was done straight from the first poem. What appeals to you about this project? Many things appeal to me. 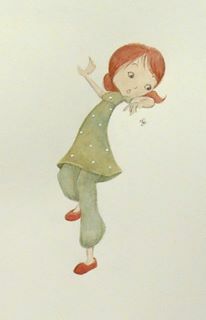 I always wanted to illustrate poetry for children because there is no limit for the imagination. It is playing with words and images. I think it is a fantastic way to make the children aware of the beauty of the language and the words. And I love June’s poems. 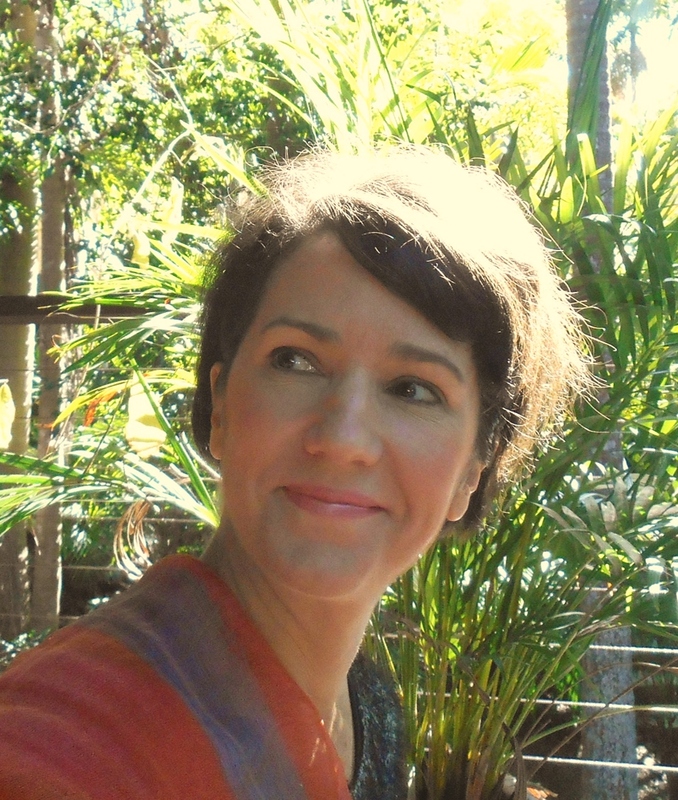 They are so rich – with a mix of humour, gentleness, mystery, depth and a lot of love and admiration for the Far North Queensland environment. I also can feel the soul of a country in it. 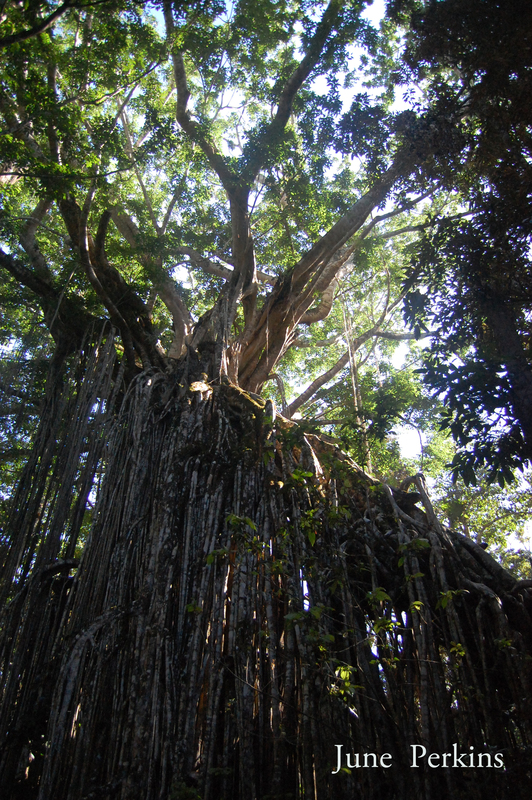 There is the mystery of a tree, the beauty of a majestic bird, many strange animals, and also children from different communities. When June approached me I really liked the fact that she highlighted one of my illustrations I called “For our Children”. It is an illustration I did a little bit after the terrorist attack in France. 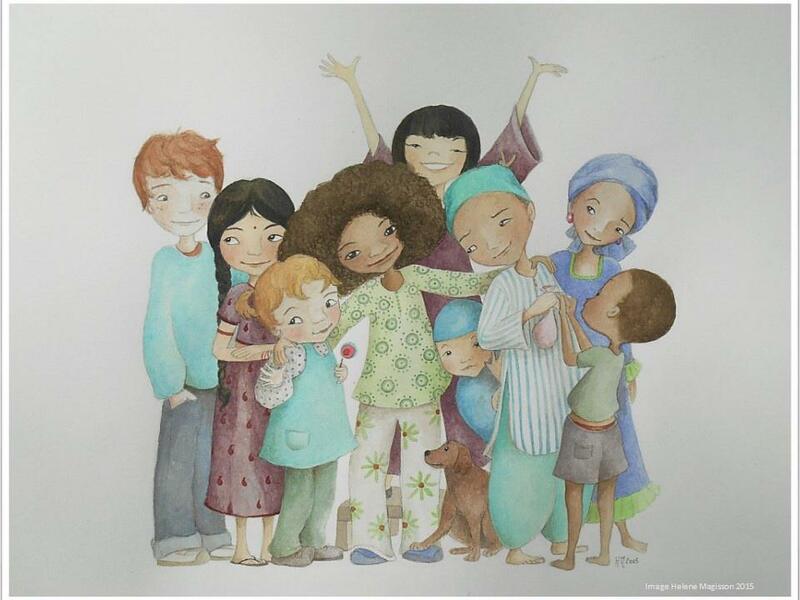 There are nine children coming from all over the world (India, Pakistan, France, Ireland, Australia, Kenya…), children I have met in the different countries I have been living in or visited, and they are altogether, smiling, teasing, hugging. There are in peace and happy. June liked it for its multicultural dimension. She wanted to highlight that in the project and that really touched me. I love the idea to mix Aboriginal, Italian, Torres Strait, English, and Australian children. 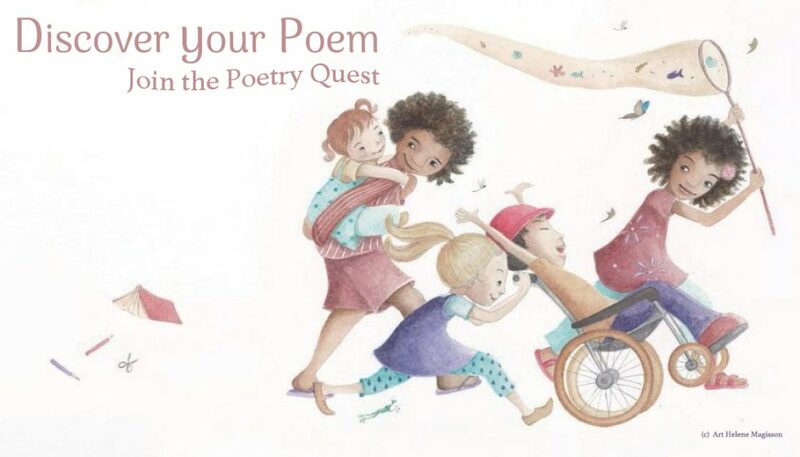 It is poetry for all and everyone in a beautiful and peaceful environment. I feel so fortunate that this project came to me. What kinds of things did you do or are you doing in illustrating the poetry text for June? I ask June to tell me more about the poem I start working on. What is behind the text, and how she came to it. She also sends me some photos (she is an incredibly talented photographer too). I collect a lot of ideas from them. In her photos, she sometimes focuses on a detail, a beautiful detail seen from another point of view. 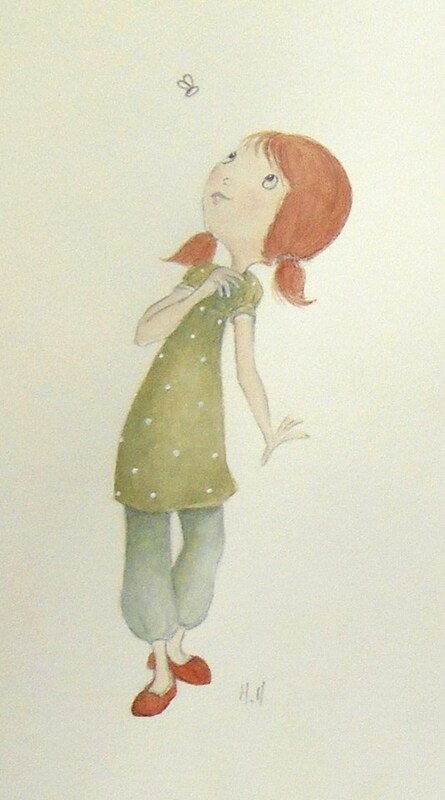 I also see that in her poetry, and I try to transmit this idea in my illustrations. Then I work on a few ideas, keeping in mind the authenticity of the Queensland environment but then I try to “translate it” in a way to appeal children with the choice of the colours, adding amusing details, hiding animals. I propose a few roughs and we decide altogether (including June’s editor Matilda Elliot) which one will work the best before I start working with colours. What is your background with working with understanding illustration that is appealing to an audience of children and their families ? I studied restoration and history of art and worked as a painting restorer for a few year, this gave me a strong background in my art work but there was no place for creativity. I think I always loved children’s books. It started from my childhood in Africa when my mum was reading to us all the Andersen, Grimm and Perrault’s tales, even a little mongoose was coming very often to listen. Also when I decided to illustrate children’s books I spent many hours reading and looking at picture books because I wanted to understand how the illustrations process was working page after page and how to create an interesting relation between the text and the illustration. The more I discovered, the more my passion grew. And when I felt ready, I attended the CYA competition in 2013 and was delighted to win First prize in the illustration category. A bit later, I illustrated the beautiful and very well-known classical tale “The Velveteen Rabbit” by Margery Williams Bianco, published by New Frontier. And I am excited that next year three more books I have illustrated will hit the shelves, including with the help of all our supporters, Magic Fish Dreaming. < How many Palms can you name? 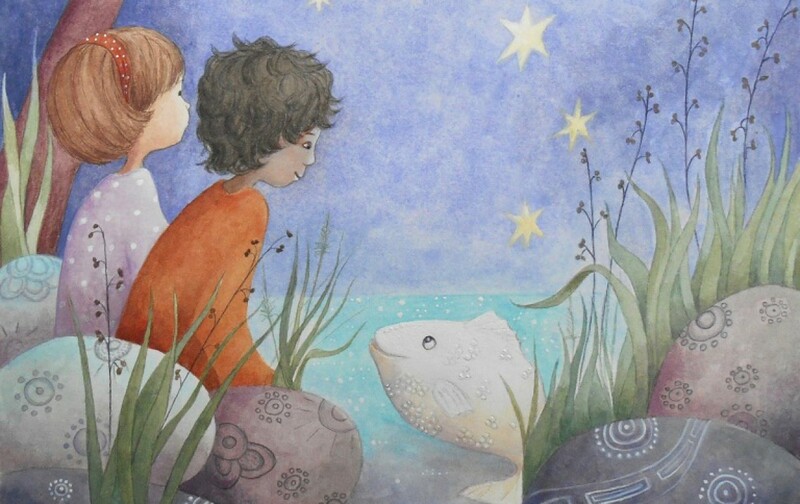 An interview with the illustrator for Magic Fish Dreaming. 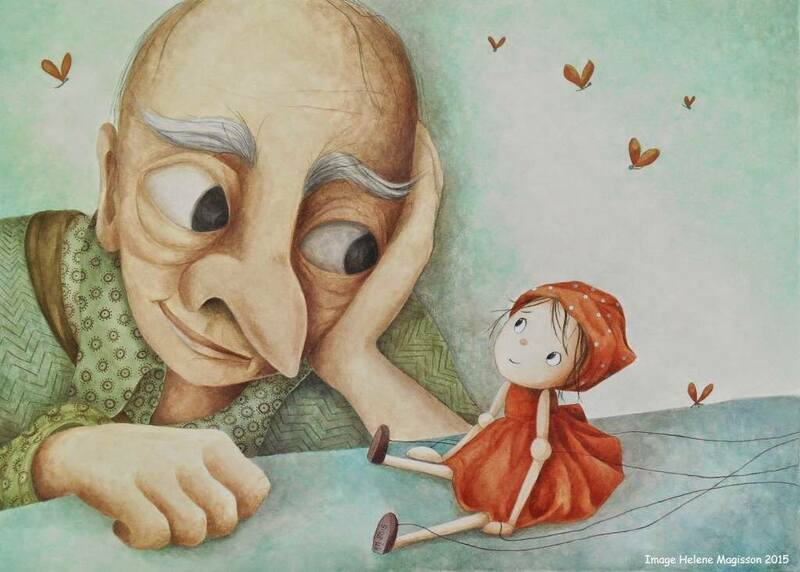 So wonderful to learn more about Helene and her illustrations! Magic Fish Dreaming is going to be gorgeous. What a beautiful marrying of thoughts, spirit and images. I can not wait to see this dream of yours evolve. Beautiful interview June and Helene! Crossing our fingers for the kickstarter! This means a lot coming from you Karen and all the tireless work you do with your writing and bringing amazing books into the world.